This is book 2 in the Covent Garden Cubs series. Lady Susanna Derring has been under her mother's thumb since she was born. Never allowed to divert from the straight and narrow path, Susanna is longing for adventure. So when she catches a thief in her home, she demands that he gives her that adventure. Although she didn't count on quite the adventure she got! Determined that this was the last job he was going to take before making a new life for himself, Gideon was willing to take a huge risk that could set him up for life. Trying to get away from the people he stole from, he goes to the home of Lord Dane, his best friend's husband. He didn't count on running into the beautiful Susanna. What can go wrong during one night of adventure? I LOVED this story!!! My wish after reading Earls Just Want to Have Fun, I had hoped that Galen would pair up Susanna and Gideon. I'm so glad that she did!! 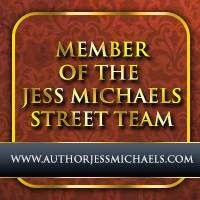 One reason I like this series is because it offers something different from the typical historical romance that takes place in townhouses, ballrooms and estates. We go into the rookeries. This adds a different feel to the story that other stories in this genre don't have. Susanna longed for adventure and she definitely got more than she bargained for. The story kept me so engrossed that I read it in one sitting! 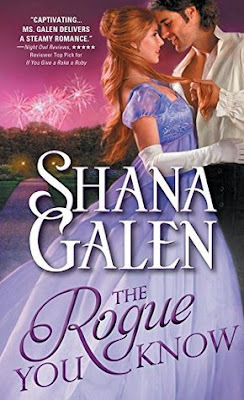 Even though the story only takes place over a few days, Galen does a wonderful job of showing us how Susanna and Gideon's love for each other grows. Definitely another for the keeper shelf!! I can't wait to read Galen's next book in the series, I Kiss a Rogue, which stars Sir Brook Derring the Bow Street Runner! !